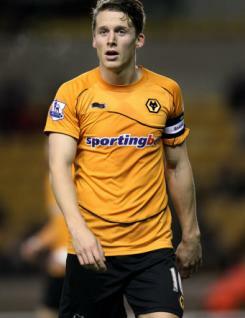 Christophe Berra is a defender who signed for Wolverhampton Wanderers in the January 2009 transfer window. He is a left-footed centre back who is good in the air and a strong tackler. Christophe quickly became established in the centre of the Wolves' defence as they won promotion in his first season at the club and has continued to be a first-team regular since then. He began his career in the youth set-up at Hearts, making over 100 appearances for the Tynecastle club and becoming the youngest captain in the SPL before his move to Molineux. Christophe won his first cap for Scotland in May 2008 and has featured regularly in the squad since then.